Installing Ira is a very simple procedure, since there are no drivers required! You just need to locate a vacant serial port connector on the back side of your computer, make a note of which serial port it is (usually computers have two of them: one is #1, the other #2), and that's it. Now you can proceed with installation of the software that will be translating signals received by Ira into actions, such as launching an application or pausing playback in an MP3 player. You can choose from the programs listed below. Each has its advantages and disadvantages (or it may be just a matter of personal preference). Ira is compatible with IRMAN or UIR, so choose either of these devices when selecting hardware module. Make sure you specify the correct port number. Installing software is very easy. See instructions for the software you choose. Something does not work? This section should be helpful in resolving most of the situations. If the red indicator is on, proceed to step 2. If the green indicator is on, proceed to step 3. At this step we assume that the red (on some of the devices it is yellow) indicator goes on when you enable Ira in your software. This means that the device is functioning, but the computer failed to initialize it. 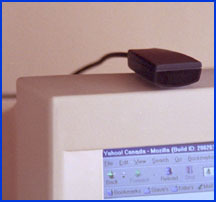 During initialization the device's clock is tuned, which is necessary for reliable communication with the computer. It is possible that the computer starts sending initialization code too soon, before the device is able to receive it. Another possibility is that the computer sends a wrong initialization code. Make sure you specified the right device (IRMAN or UIR) in your software. If you use Girder, you might need to change settings "Fast UIR Init" in UIR/IRMAN configuration window. At this step we assume that the green indicator goes on when you enable Ira and the software recognizes the device. 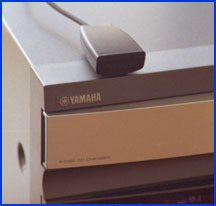 This means that the device was properly initialized by computer. Now you can check that Ira receives signals from remote control. When you push buttons on the remote, the green indicator will blink. This indicates that the signal is received and sent to the computer. If this is the case, then you just need to configure your software. If the indicator does not blink, then it means that it does not receive the signal. Consult the remote controls compatibility list and make sure you use one of the compatible remotes and that it is working. If you still have problems, use this form to report a problem. We will try respond in a timely manner. **the price information is as of 16th, Apr, 2002.